RIO DE JANEIRO, Brazil – Family farming, usually organized as smallholdings, accounts for 84% of all Brazilian rural properties, but occupies only 24% of the area devoted to agriculture in our country. It corresponds to 40% of the gross value of production, as well as 77% of the jobs in agriculture. In addition, it is responsible for more than 50% of the products of the Brazilian worker’s basic basket. 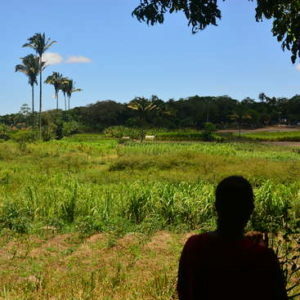 However, in addition to the already evident inequality in the concentration of land (the average family size in Brazil is 18.37 hectares, while the latifundium/large land estate is 309.18 hectares), the reality is that the Brazilian family farmer , the main responsible for feeding the Brazilian people, receives only 13% of the resources allocated by the government to the agricultural sector. The other 87 per cent go to large latifundia, less productive than family farms, which employ fewer people compared to family farms, which are mostly used to produce primary goods for export (as opposed to family farms) that cause more damage to the environment in relation to family properties, and above all, which are owned largely by foreigners or by Brazilian politicians. There are many drawbacks to vertical farming. They mainly come down to cost. Farming well requires deep know-how and expertise; it has proven extraordinarily difficult to expand vertical farms in a way that holds quality consistent while driving costs down. Optimizing production at a small scale is very different from doing so at a large scale. Now a young Silicon Valley startup called Plenty thinks it has cracked the code. It has enormous expansion plans and a bank account full of fresh investor funding, but most excitingly, it plans to build a 100,000 square foot vertical-farming warehouse this year in Kent, Washington, just outside of Seattle. Natural health expert and Mercola.com founder Dr. Joseph Mercola interviews Elizabeth Candelario on why the Demeter Biodynamic certification label is becoming the new platinum standard for high-quality, nutrient-dense food. A former 107-acre public housing site in South Pittsburgh’s St. Clair neighborhood is being transformed into a massive urban farm.